For our last night in Peru we ditched the hostel and spent the rest of our funds on a nice hotel. We stayed in and ate sushi for dinner at the hotel bar, hit the pool, and enjoyed the luxuries-like being able to brush our teeth with tap water. The hotel included a gourmet buffet breakfast where we really indulged, even letting Little Monkey enjoy hot chocolate for the first time. We were giving a late check out, which was 3pm. 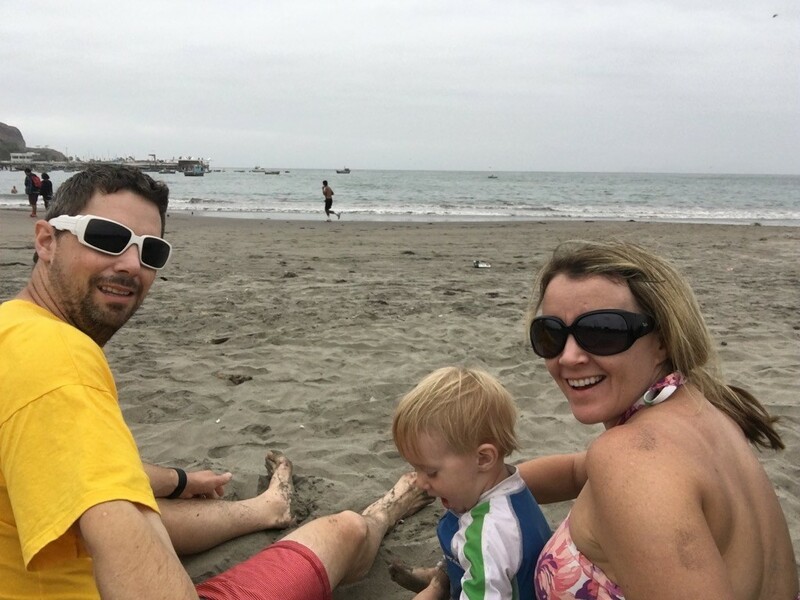 We took an uber to the beach and checked that off our Peru bucket list. Because of our late check out we had plenty of time to clean up. We were able to leave our luggage at the hotel even though we checked out. We used the rest of the afternoon to have a late lunch, cebiche of course. Around 6pm we ubered it back to the hotel, picked up our luggage and arranged for transportation to the dance and dinner show. Because we were on a redeye flight out of Lima, requiring us to be at the airport at 11pm, we didn’t want to pay for another night in a hotel or hostel. But, we also didn’t want to be on the streets or sitting at the airport for hours upon hours. La Dama Juana , a dance and dinner program in Lima, was a great way for us to spend the time. They checked our luggage for us in the coatroom. A pisco sour is included and it is buffet style dinner. The food was mediocre and the dancing was great. Little Monkey absolutely loooooved the performance. It was so nice that he was so completely entertained. It is difficult, sometimes, to keep a toddler entertained during mealtime. This was a win-win. The dancing was historical Peruvian dances and as a dancer I enjoyed being exposed to the different styles. We had a slip up with the service, but all in all it was a nice experience and satisfied the need of passing time. We headed straight to the airport from La Dama Juana, and by then we were more than ready to begin the trek back home. I am so proud of our family. I am proud that we took the time and spent the money to have a true family vacation. Two weeks of the three of us brought us closer together. While we can’t spend life in vacation mode, it is something we can look back on and also look forward to. We now know that vacations like this are so important to our ultimate goal of keeping our family a bonded unit. 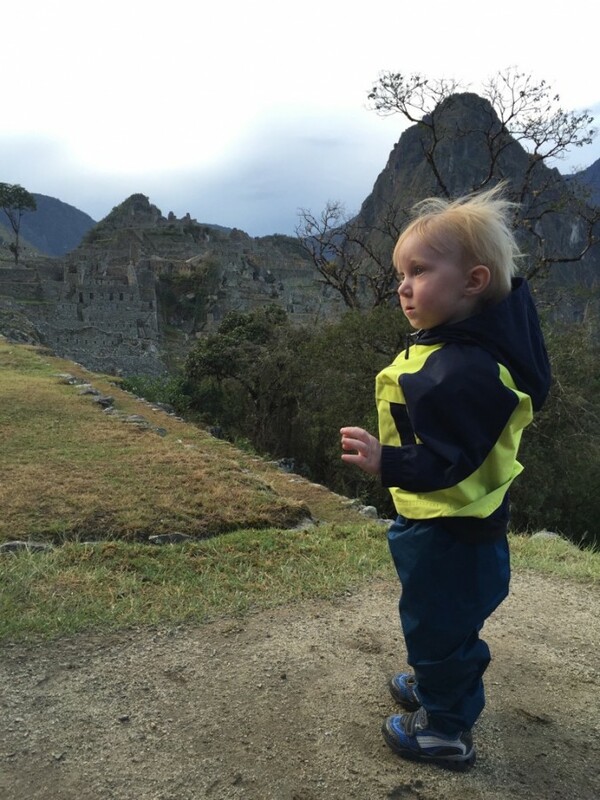 I’m also proud that we took our toddler to South America. Many think we are crazy for doing this, and we are, but it was worth every struggle. I firmly believe that having him with us made our experience better. I look forward to showing him more of the world; and while he won’t have formed memories from this vacation, I hope that it will help shape his character as a citizen of the world. I believe that when we travel we are constant representatives of our culture and I hope that Little Monkey’s joy and our love as a family made us positive ambassadors for the United States. 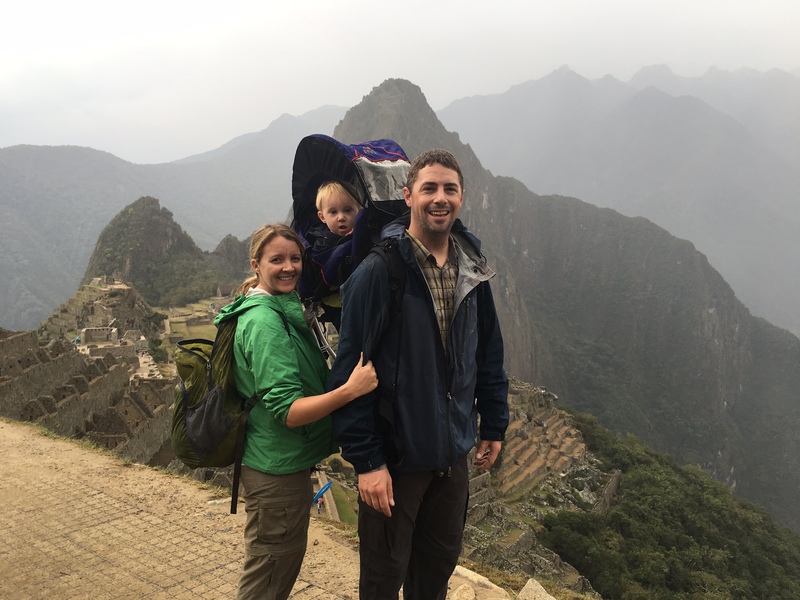 We hope to make it back to Peru someday. 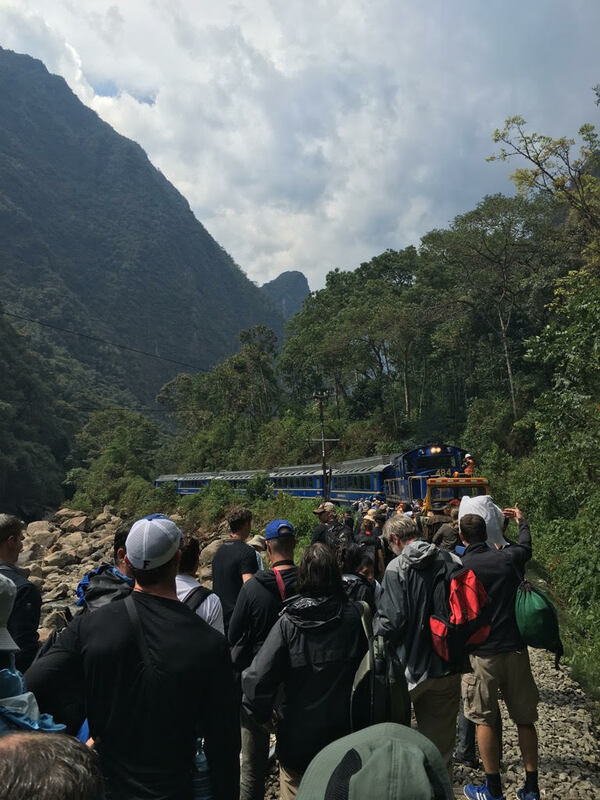 We feel though that our experience in Lima and Cusco was satisfying and that there is much more to Peru we would like to experience. Our next trip will take us north to the beaches, jungle, and perhaps over to Lake Titicaca. Thank you Peru, for such beautiful memories. Until we meet again.